Our Savings and Investment plans are life insurance plans that offer you multiple avenues to save and to grow your money. These online investment plans help in systematic and disciplined investment ensuring that you and your family achieve your financial goals. Why do you need Savings and Investment Plans? Savings and Investment plans help you save regularly and be adequately prepared to meet family’s financial needs in the future. These online investment plans offer various features that help meet your specific financial needs with investments made according to your appetite to take risks. 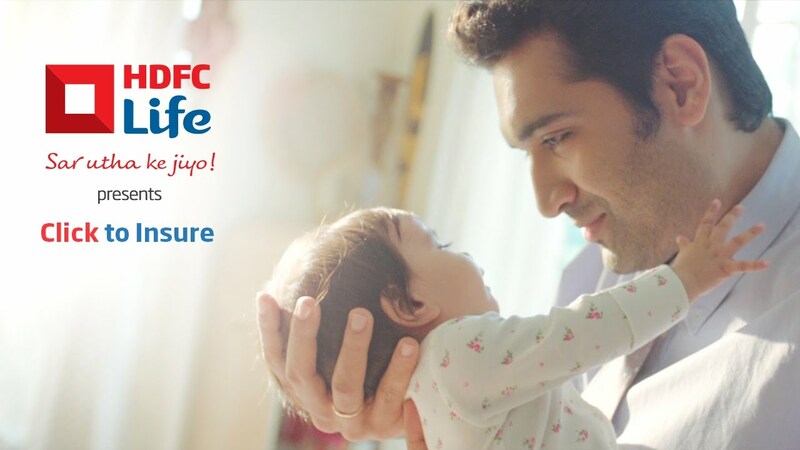 How Savings and Investment Plans by HDFC Life Help You? Our Savings and Investment Plans help you save ample amounts with the help of regular investments after taking into account your specific financial situation and future needs. They also provide protection to your family and ensure all expenses are covered even in your absence. Tax calculator by HDFC Life is a simple and easy to use tool that helps calculate the amount of tax payable by you. Why You Might Like To combine Insurance And Investment In A Ulip? After you have taken care of all your regular family expenses, you save the balance for the future needs of the family . In other words, your family is dependent on you for their present as well as future needs. So, if something were to happen to you, there is a high likelihood of your family's dreams being thrown into disarray. But, don't worry! Marrying your investment and insurnace with these investment plans could help you secure the present and future of your family. Every investment that you make today is targeted to cater to a future goal. Ideally, you expect that once your investments mature they would help you meet your future goals. But till the time the investments mature and help the family achieve its goals there is always an element of risk. Should something happen to you midway, this investment could very well be liquidated and prematurely withdrawn to fulfil the family's current needs. Even the corpus left after the partial liquidation will not suffice to meet the family's goals, be it child's higher education or spouse's retirement. The risk to financial security of your family is much higher during the first half of your work life. Be it goals, such as your child's higher education or wedding, or, your own retirement, your savings remain very low in the initial phase. For instance, if you are targeting to save Rs 50 lakh for your child's higher education 20 years down the line, and your investment earns a post-tax annual return of 8%, then you would need to save Rs 8,793 per month to achieve your goal. But you will be able to accumulate only Rs 6.45 lakh in the first 5 years and Rs 15.93 lakh in the first 10 years, surely the sum that will not help your child fulfil her need for higher education. It is in situations such as these that the life insurance coverage comes to the rescue and ensures that your family is able to fulfil the desired goals even in the event of your untimely demise. During the course of your work life, your income will help you accumulate various assets, such as household appliances, gadgets, land, residential property, gold and deposits. Over a period, certain assets will generate enough income to take care of your family's regular expenses. But if you are no longer there, acquiring these assets could remain just a wish, unfulfilled. Here, a life insurance cover could provide that bridge when there aren't many income generating assets available. Also, big-ticket items like car and home are typically bought with the aid of loans. In the event of your untimely demise, your family would be left with no choice but to sell them off to repay the outstanding loan. This is where unit linked insurance plans (Ulips) from life insurance companies works so well. They not only protect your family in your absence by covering living expenses but also allow your family members to keep enjoying the car and home bought with loans. Besides providing life cover, Ulips allow you to invest in equities which typically provide high growth during tenures of 10 years or more. The life cover ensures that other high growth investments such as those in equities besides the investment portion of Ulips still keeps growing. What's more, the cost of life insurance is quite low, especially for online plans. With an adequate life protection to take care of your family, you are better placed to take higher risk for higher reward investments such as equities. This will also help you go a long way in helping you save more in the long-term of 10 years or more. *Calculations shown in this article are based on assumptions which are mentioned therein and are not related to any product and are just for illustration purpose. Short-term financial emergencies often damage your financial plans for meeting long-term needs. When faced with an emergency, we tend to reach out to investments that can be liquidated easily. That’s where the lock-in periods in investments, such as in unit linked insurance plans (ULIPs), help you stay on course. Your long-term life goals, such as retirement, need big amounts. As big amounts cannot be saved in a short period, you need long-term regular savings to achieve different goals. That said, you could come across emergencies that will require you to spend significant amount of money. If you have unrestricted access to long-term investments, they could become an easy choice for liquidation, consequently, compromising your long-term goal. For instance, a premature liquidation of long-term investments, say, your child’s higher education, to meet a medical emergency, will either compromise his education, or, he will have to take an education loan. If you take the EMI payment burden of the education loan, it will hamper your retirement savings. If your child pays the education loan EMIs, he will save less or nothing for quite some time in his early work life. A lock-in period like the one in ULIPs, ensures that you stick to regular savings in the initial years, stay away from liquidation and successfully save the desired amount for the intended life goal. When you start long-term investments with an ULIP, you would typically earmark it for an important goal such as your child’s higher education or wedding. These goals are likely to be 10-20 years away. However, during the course of maintaining your regular expenses month-on-month, you might come across occasions when you would suddenly need a significant amount in a short time. It could be something like money to be raised for child’s school admission process. These can’t be accommodated in your monthly budget or addressed through small savings at hand. If you are not allowed to withdraw money in investments like ULIP in the initial years due to a lock-in, you get to save a significant sum by the end of the mandatory 5 year lock-in period. Your temptation to liquidate a lower savings amount during emergencies will be greater compared to substantial amounts over a longer period. This, in effect, improves the chances of the money growing unhindered over the long term and providing the growth you seek. As for emergencies, you are forced to make provisions for them like an emergency fund which has liquid investments equivalent to 3-6 months of living expenses. In any case, during the emergency, you will need to look elsewhere for money and that’s where investment plans come into picture. Equity is considered among the best-performing asset classes in the long-run i.e. 8-10 years or more. But, in the short term, the investments are subject to significant volatility. Individual investors, new to equity investments can get perturbed by the high short-term volatility and some even make premature exits from investments on significant market declines, losing out on long term growth opportunity. However, thanks to the minimum 5 year lock-in in ULIPs, which also help you tap the long-term growth potential of equities, you can’t make a hasty and premature exit. Over time, you get used to the turbulence which settles down to more stable returns in the long term investment plans as the investments cross the 8-10 year mark. Investors typically prefer the best investment plan where they can access their money during emergencies. Many times, this facility does more harm than good since people end up nullifying their hard work done over time with ill-considered premature exits from long-term investments. Lock-in periods in investments such as ULIPs ensure that you short term emergencies don’t hamper your progress towards cherished goals such as child’s higher education. Just how much could saving Rs 1,000 a month change your life? After all, in a large Indian city, that’s what you pay for a trip to the multiplex and in some cases, a meal for two. The amount may not seem big enough for you to alter your future. But if we tell you that the difference could be Rs 14.16 lakh at age 54, if you are 24 today, we have your attention, don’t we? No matter how small your savings, if they get enough time to grow, they can become reallybig over time. Now, if you manage to save just Rs 1,000 every month after taking care of all expenses, taxes, EMIs at age 24, and keep saving the same amount for the next 30 years, your money grows to Rs 14.16 lakh. That’s assuming that your money grows at 8 per cent every year after taxes. What happens if you start saving the double the amount, but start 10 years later i.e. Rs 2,000 every month at age 34? The answer: you end up with only Rs 11.44 lakh, assuming the same growth for your money. It’s amazing, isn’t it? Even by doubling the savings you can’t still reach where you do by starting early. But what explains this? Let’s return to our example. If the monthly savings of Rs 1,000 grows at 8 per cent every year, in 20 years the money grows to Rs 5.72 lakh in 20 years. If you keep doing more of the same, the money grows 2.5 times in the next 10 years. Look at it in another way. For Rs 1.81 lakh invested during year 20 and year 30, you manage to add Rs 6.63 lakh to your savings. All this you manage to do simply because you accumulate Rs 5.72 lakh in the first 20 years. Moral of the story: money starts growing by itself over long periods. So, the key is to have large amounts of time at hand and not necessarily save big amounts. There have and are, many “get rich quick” investment schemes that promise you great growth for your money in a short period of time. Many people, after starting out late and anticipating their significant financial needs fall prey to such schemes and lose their money. An early start to regular savings, even with small amounts, ensures that you don’t have try anything and expect anything, too risky. If anything, with minimum supervision, you can make your money grow and attend to other important things in life. This means you don’t have to stress yourself tracking high growth, high risk investment areas such as stock markets. After a late start, many people spend dollops of time figuring out when to buy and when to sell stocks, almost invariably getting into a mess. A common mistake made by many people is that they wait to have enough savings to invest. In the process, they lose precious time for the money to grow. If you are wondering where small savings can be made to work, the good news is that there are plenty of regular investment options that help you do this. Among them are life insurance plans. Interestingly, many people assume that you need significant amounts to invest in life insurance savings plans. Life insurance companies have monthly premium paying modes where you can invest small amounts such as Rs 1,000 per month. If you buy online, the amounts can get even lesser. As you get on with your small savings habit and get the money to grow, you can earmark the money for specific needs. We have all heard elders talk about the power of time. Growth of small, but regular savings is possibly a great illustration of the fact. What’s wonderful is anybody can harness this power to shape his future. So, what do you say now? A monthly saving of Rs 1,000 counts, doesn’t it? A small investment can rise up substantially over a period of time. HDFC Life Click 2 Invest - ULIP, offers 8 fund options to optimise return on your investment. You can check the Fund Value of your policy under Policy Summary Section of My Account. To register for My Account, click here. You may also register for the SMS on the Move facility, where you can check the policy Fund Value via SMS. You can register for this service by typing "REG [space] [policy number]" and send it to 5676727 (charges applicable as per the service provider). To keep you updated about the performance of your policy fund, an Annual Unit Statement is also sent to your mailing address. You may even check the fund value via our IVR service by doing the following: Select Option 1- Policy Information and Press 1. You may also use our Missed Call service by giving a missed call on 08000006609 and wait to receive the Fund value of your policy via an SMS text. How can I Pay the Investment Plan Premiums?